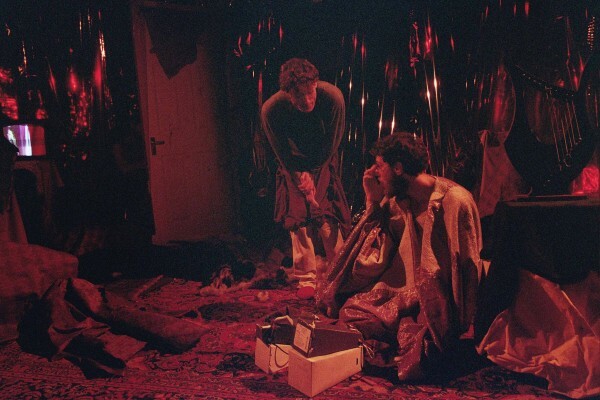 Writer and producer Yair Oelbaum's new play, There We Will Be Buried, is being presented at the ICA as part of LIFT 2012. Yair Oelbaum who, at 23, has tried his hand at writing, music, photography and theatre, stops half way through explaining his practice to apologise for ‘sounding too pompeus’. This modesty and self consciousness runs through much of what he says. He’s in London to perform his piece, There We Will Be Buried at the ICA, having already taken the performance to the Whitney Biennale in New York. The project has taken much of his time since mid 2010, when German painter Kai Althoff approached him to write a play for them to perform in. Oelbaum and Althoff previously collaborated on another project, Mirror Me; when the writing started for There We Will Be Buried they had no definite plans, but soon enough Althoff was invited to Focal Point Gallery in Southend-on-Sea and after a residency the play opened at The Palace Theatre. The London dates, which will mark the final curtain call for the play, have been arranged as a part of a special collaboration between the ICA and LIFT. For Oelbaum this is the biggest project to date. He admits that prior to There We Will Be Buried, he did little performance work, ‘certainly less than five, much smaller pieces’. It’s therefore perhaps not surprising that working on the play involved quite a lot of self-reflection.